Home Android Trick: Convert SD card to increase ram of your android smartphone/tablet. Trick: Convert SD card to increase ram of your android smartphone/tablet. Use SD card to increase RAM of android smart phone: today android is the biggest platform not only in terms of applications but also in number of devices. One can choose android smart phone as per pocket. You will get smartphones varying from 4000 to 40000. Basic difference in these smartphones is their hardware configuration. In entry-level smart phone you get single core processor while in top-notch devices we have quad and octa- core processor. Other difference is RAM, more RAM means more multiprocessing power and ability to play high-end applications. So, in this article I will tell you how to convert your SD card into RAM. Well in spite of having large number android smartphones most of us are using a mediocre or low-level smart phone. It makes us annoyed when phone hangs or lags too much in between any task. Although there can be many reasons like slow processing power, low internal memory but low RAM is also one of them. Well there are various methods to increase your phone ram but to convert free space available in your SD card is one of the best method to increase ram of your android smart phone. All of you are wondering that what magic is that how can one convert SD card to increase RAM of android smart phone. Well this article is not about inserting your memory card or connecting new hardware to increase your smart phone RAM. 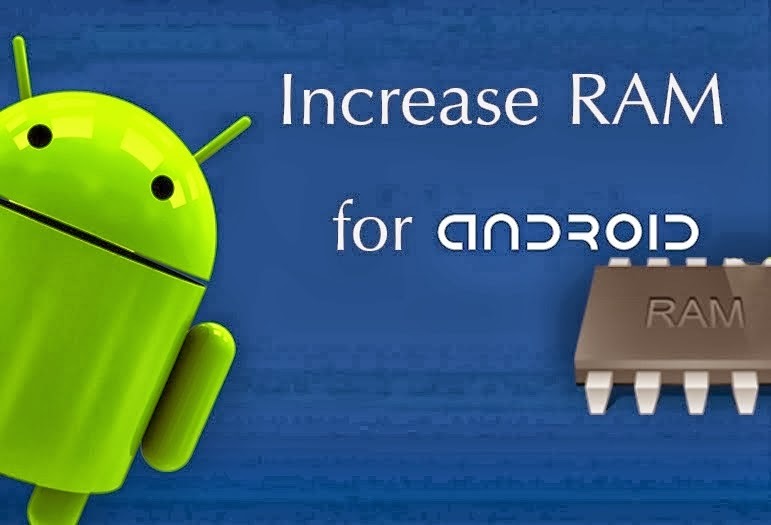 We will give you some simple tricks and software that will help you to boost ram of your android smart phone. these method could help you to increase your ram up to 2-4 GB depending upon your device configuration and memory card. Here I am giving you 2 methods. You can choose any of them to convert SD card to increase up your device’s ram. Both of them are different. First method requires use of some softwares to increase RAM while in other method you need to partition your SD card. Check out for ROEHSOFT RAM Expander (SWAP) awesome tool that can convert your memory card free space into your device’s RAM. As per the developers it is the best application in play store that can efficiently increase your smartphone’s ram. One thing you should keep in mind before buying this app is to check whether your phone support this app or not. you can check the compatibility of app with your device by using this compatibility app. If your smart phone support ROEHSOFT RAM Expander (SWAP) than you can buy it. This app creates no magic it simply increase up your android smartphone RAM by converting a part of SD card memory into RAM. Then your memory card will be used as virtual RAM. How to use ROEHSOFT Ram expander (SWAP) to increase your RAM. Once you have checked that your device is compatible buy this app from google play store. After you have installed the app in your smart phone create a swap file. You can create swap file by clicking swap active and enable it. Final step it activate swap. You can do so by clicking on grey box. Done. You have successfully fully increased your RAM. NOTE: Your device must be rooted before using this application. As this method does not require any software or anything so you need following things for implying this method to increase RAM of your smart phone. If you are trying to use sd card to increase ram of your smartphone then your phone must support swapping. To check this you must download swap check app. If your smartphone support swap function then you can easily convert your SD card into RAM. Next step is to partition your sd card. Download mini tool partition to your PC. Connect your sd card with help of card reader to PC. Format SD card. You can format your SD card by opening mini tool partition. Then click delete option. Right-click on your SD card and select partition. Make this partition primary with file system as FAT 32. Leave 1 GB space for other partitions. Click on done. Again repeat step 6 but this time change file system to .ext2, .ext3 or .ext4. Click on apply and within few minutes your partition process is done. Download LINK 2 SD and install it in your smartphone. Open the app and give root access. Then choose .ext partition that we have made. Sorts the app and start linking them. Final step is to download swapper for root. Open the app and select desirable increase in ram size. Once you choose the RAM amount it will create .swp file and increases your device RAM. Though it’s a long process but still an excellent technique to convert your SD card to increase you smart phone RAM. NOTE: You are advised to use the given methods at your own risk. Whether you are testing or increasing your android smartphone RAM. No authorities, developers or source site is responsible for any damage caused to your device. Hope you all like this post on how to convert SD card to increase ram of your android smartphone.